Take the whole family out to the ballgame for the Tulsa Drillers’ season opener. Head downtown early for the opening night parade that starts at 6 p.m. At 7:05, the Drillers will step onto ONEOK Field with hopes to out bat, out catch and out run the San Antonio Missions, who Tulsa will host through Saturday, April 11. And what’s a ballgame without the food? With baseball season comes Drillers Dogs, Mazzio’s pizza slices, jumbo soft pretzels, popcorn, peanuts and more. And you’ll be happy to know that Thursday is Thirsty Thursday; get $1 soft beers and soft drinks to enjoy while watching the Drillers knock the evening out of the park. Also, to celebrate the opening game, the Drillers will have a rally towel giveaway at Oil Derrick and Arvest Entrances. Get your towel and wave it high to cheer on the Drillers. And if you can’t make it to the opening game, don’t worry, they’ll be plenty of fun this coming season. This year’s promotional calendar features 20 post-game fireworks show, which will follow every Friday and Saturday night home game. On Saturday, April 11, the first 1,000 kids ages 14 and under to attend the game will receive the first ever Hornsby Build-A-Bear. On May 9, the first 1,500 fans will receive free t-shirts incorporating the Drillers and Dodgers colors and logos. Every Tuesday, enjoy $2 lawn tickets and selected concession items, and each Wednesday night game, “Bark in the Park” returns. 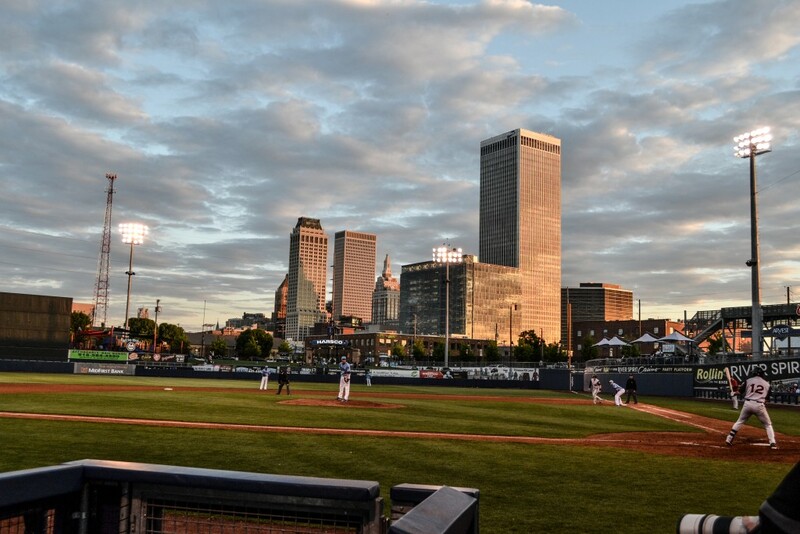 Enjoy all this and much more during the 2015 Tulsa Drillers season. For more information, visit www.tulsadrillers.com.